Carménère, Chile’s signature red, officially turns twenty on November 24th. Yet despite being full-bodied and relatively easy to pair (although certainly not as straightforward to cultivate), Carménère tends to fly somewhat under-the-radar of most casual red wine fans. Perhaps that’s because, up until just two decades ago, ‘Missing: Presumed Extinct’ was pretty much all people thought about Carménère wine. What sommelier Julian Sanders of Santa Barbara’s Café Ana refers to as “the unsung hero of the Chilean wine industry” wasn’t always associated with Chile. In fact, Carménère actually originated in France, although by the mid-1800s it had practically been wiped out of the vineyards following a particularly devastating Phylloxera outbreak. Despite Carménère having been a popular blending grape in Bordeaux with the potential to create incredible wines in its own right—few bothered to try and reinstate this slow-ripening and generally low-yielding grape. 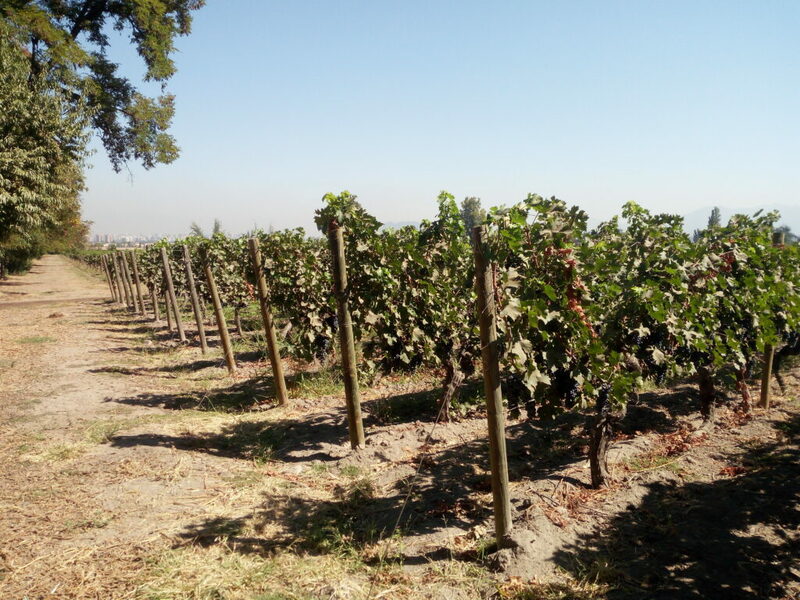 Instead, they turned their attention to repopulating their vineyards with the more resistant, adaptable and easy-to-cultivate Merlot and Cabernet Sauvignon. And yet, as Kathleen Bershad, author of The Wine Lover’s Apprentice, says, Carménère “was brought to Chile in the early 1800s. Somewhere along the way though, it got confused with Merlot.” (Take a look at Carménère and Merlot on the vine and it’s easy to see why—to the uninitiated observer, the difference between the two is slight.) Yes, this European stowaway had managed to take root in Chilean soil. For more than a century, Carménère mingled with Merlot, baffling Chilean winemakers who were convinced theirslower-to-ripen ‘Merlot’ grapes were simply unique. Enter Jean-Michel Boursiquot, a French ampelographer. (For the uninitiated, that’s an expert in the study and classification of grapes). It would be he who finally cracked the code, working out that the confusingly-similar-to-Merlot-but-actually-unidentified grapes were Carménère. Just how much ‘Merlot’ was actually Carménère? Close to 50%, apparently. It was 1994 and Carménère was (unofficially) back on the scene, although it would take until 1998 for Chile’s Ministry of Agriculture to officially recognise Carménère as a distinct wine in its own right. Rather appropriately, I sampled my first Carménère in Chile, although not quite in the way I’d expected. 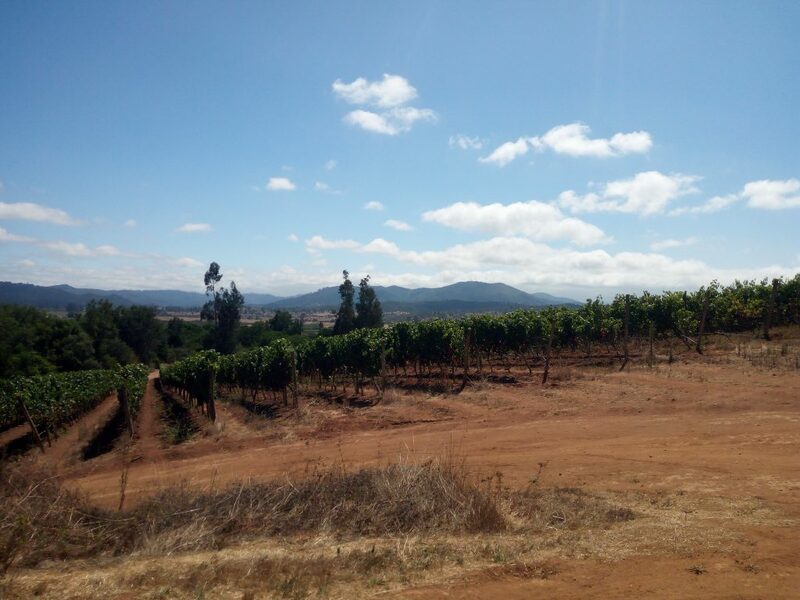 I’d headed to a vineyard just outside of Valparaíso for a quick wine tour and tasting. The bottles were uncorked and the wine was poured. I swirled the burgundy booze, administered the requisite cursory sniff, and tried mightily to identify notes of this, that and I don’t know what. It was my first wine-tasting experience (can you tell?) and, honestly, I was wondering when the actual drinking was going to get underway. Finally—finally!—we sipped. But we didn’t try a Carménère. No, my first Carménère came from a Santiago off license a couple of weeks later. Regardless, I applied all my hard-earned tasting knowledge to the wine so often described as sitting somewhere between a Cabernet and a Merlot. If that comparative description means as little to you as it did to me though, allow me to elaborate: distinctly peppery, almost spicy in flavour, Carménère is best known for rich, juicy stone-fruit notes—think plums and cherries. There was also a crispness that I couldn’t quite put my finger on. First, I deferred to the internet, which was where I read of the (sometimes overpowering) green pepper kick common in Carménères. Then, for the purposes of this article, I deferred to the professionals. Beth Margolis of New York State’s Liberty Vineyards & Winery noted that many Carménère wines have “bright notes of berries,” adding that “some may have interesting tobacco…or leather notes as well.” Meanwhile, Sanders threw flavours such as raspberry and cocoa into the mix. Where can you get your hands on a good Carménère then? It makes sense to advocate for going straight to the source, or, in this case, the second source: Chile. While you can find Carménère in select pockets of Italy and France (its first source), the best options really do hail from the skinny South American country which witnessed its rebirth back in the 90s. After all, Chile’s sultry summers provide the perfect conditions for the proper cultivation of this slow-ripening grape. And Carménères are remarkably reasonably priced in Chile, whereas in the US, decent bottles can run upwards of $50. (Although you could say it’s a small price to pay for a bottle of red with such a fascinating history.) Either way, look for bottles which come from the Valle de Colchagua in particular. Another thing to keep in mind when you’re picking up a bottle of Carménère is that, in accordance with Chilean regulations, Carménères only need contain 85% Carménère grape content to be marketed as Carménère. 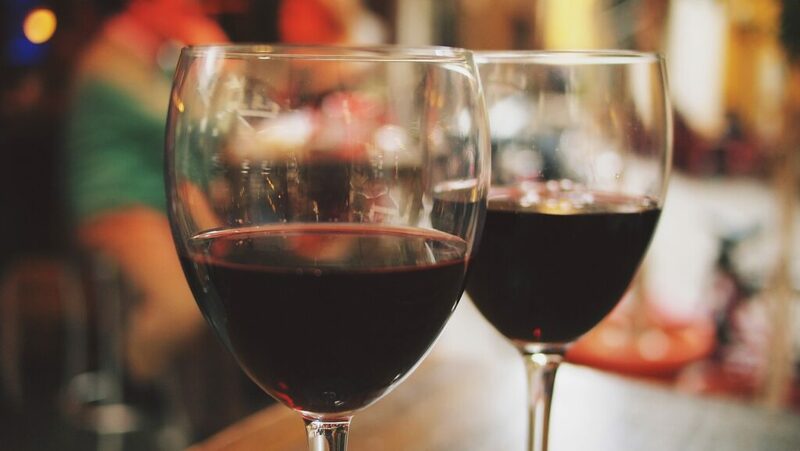 That’s to say, you might find that up to 15% of your Carménère is actually Cabernet Sauvignon. This is no bad thing though—unless you’re a stickler for purity that is—because a touch of peppery Syrah in particular can often boost the flavour profile of a decent Carménère. And don’t worry too much about the age. Although Carménères do age well, they can also be enjoyed in the bloom of youth thanks to their sweet, sweet tannins (literally). Whatever you’re drinking it with then, be sure to raise a glass for Carménère, the OG comeback kid, on November 24th. 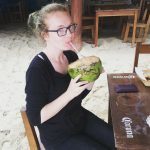 Lauren Cocking is a travel, food and drink writer, specializing in Mexico and Latin America. Follow her inane inner monologue on Twitter at @laurencocking or read her blog Northern Lauren.